Immerse yourself in our world of exclusive ice designs. Our handmade artificial ice furniture and decorative ice elements are real eye-catchers. The decorative ice elements we use appear deceptively realistic. The perfect illusion of cold without the “negative” aspects: trousers stay dry on our ice stools and our ice bars don’t melt. 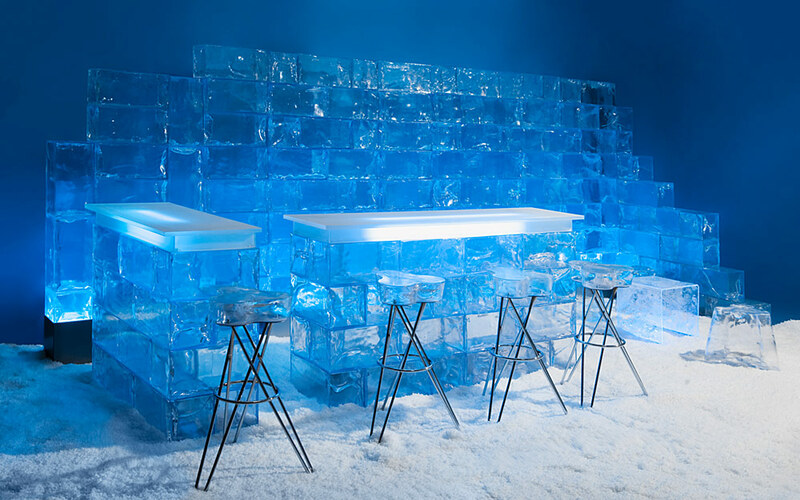 Our artificial ice furniture is used for events and product presentations.